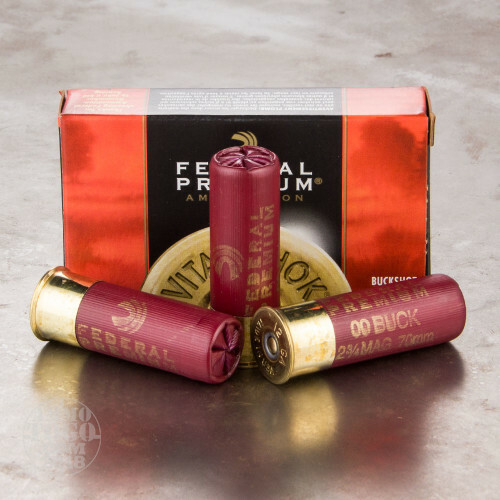 This is 12 Ga. Federal Vital-Shok 2 3/4" 12 pell. 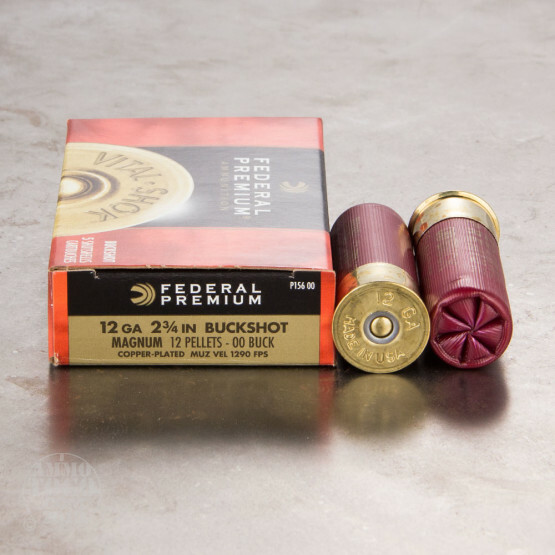 00 Buckshot Ammo. 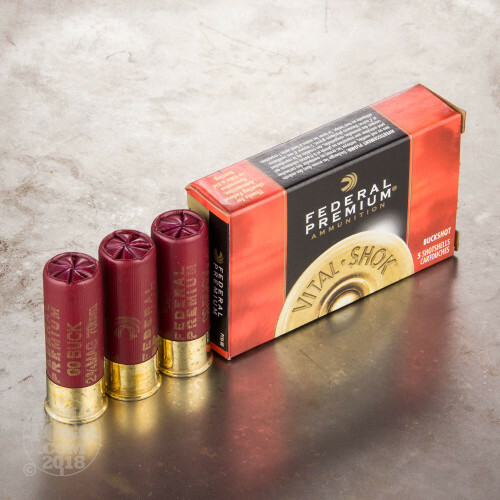 Federal's patented spiral stacking process with plastic shot cup and buffering ensures dense patterns and a powerful blow. 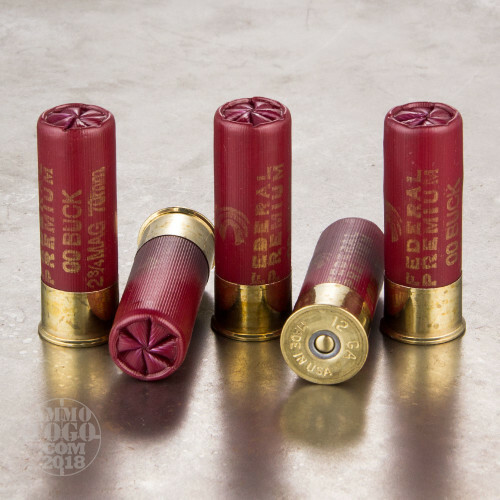 The Premium shot is copper-plated for uniform pellets and deep penetration. Muzzle velocity of 1290fps. This ammo is packed in 5rd. boxes.